Card class tonight, Tuesday November 29th at 7pm -- Christmas cards with texture. Details below. RSVP now! 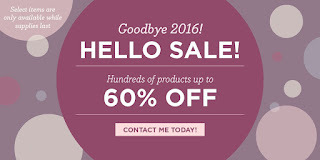 Year-end closeout sale starts Thursday, save up to 60% -- look for an email later this week with all the details. Last chance to Save 25% on stamp sets that coordinate with Stitched Shapes framelits -- sale ends tomorrow, November 30th. Don't miss out! 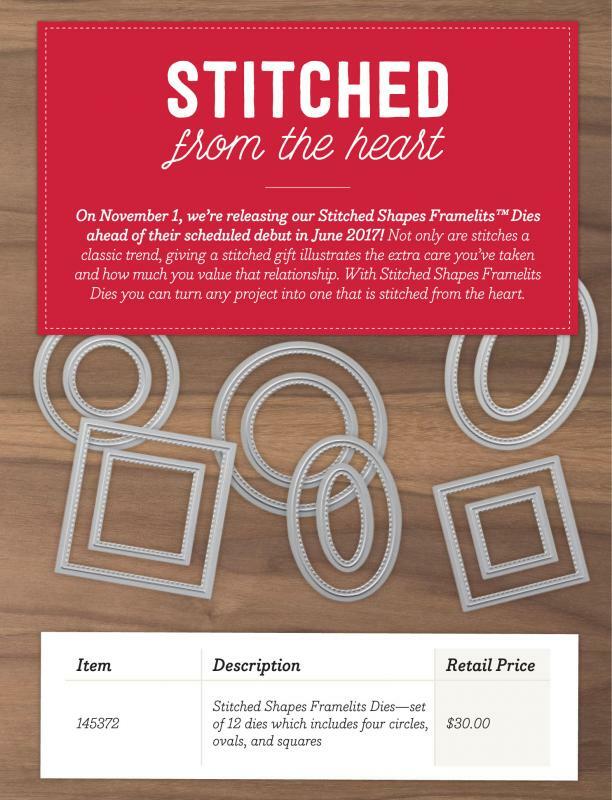 Don't miss this promotion...new Stitched Shapes framelits! These framelits give the look of a stitched border on each shape. 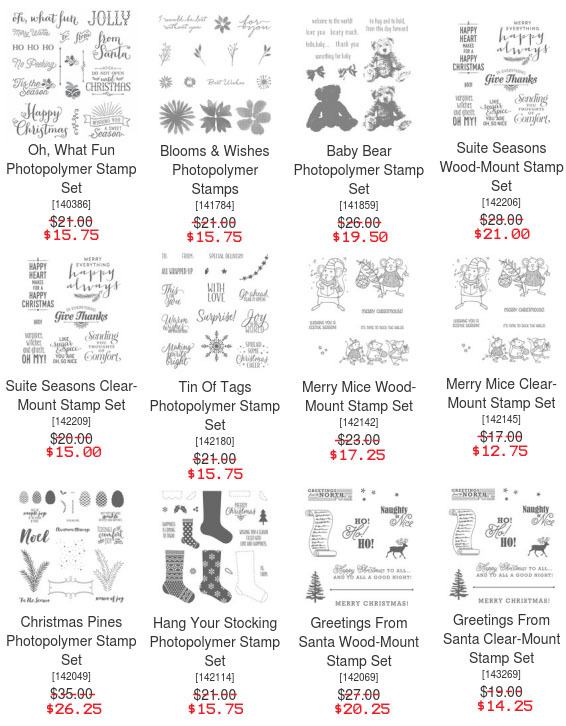 Save 25% on select stamp sets that coordinate with these wonderful framelits. There are 12 framelits (4 each of squares, circles, and ovals). This is a preview item from the 2017 annual catalog. Select stamp sets are available through November 30th at a 25% discount and include holiday stamps and stamps from the 2016 annual catalog. To learn more about these dies watch this video https://www.youtube.com/watch?v=MhpovAbU6qE&feature=youtu.be then order yours ASAP! 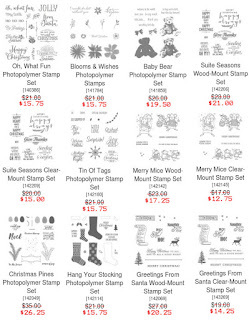 Celebrate the new year—and great deals—with Stampin’ Up! during our Year-End Closeouts sale! From December 1, 2016, through January 3, 2017, a selection of holiday retiring products, Clearance Rack items, and other selected catalog items will be discounted up to 60%. Look for an email from me later this week with all the details. Tuesday November 29th, 7-9pm, textured Christmas cards; make 4 cards (2 each of 2 designs). Cards feature Softly Falling and Holly textured embossing folders. Cost is $10 (or free with a minimum order). Monday, December 5th, 7-9pm, make birthday cards; make 4 cards (2 each of 2 designs). Cost is $10 (or free with a minimum order). Tuesday, December 27th, 7-9pm, make 4 cards, theme TBD. Cost is $10 (or free with a minimum order). 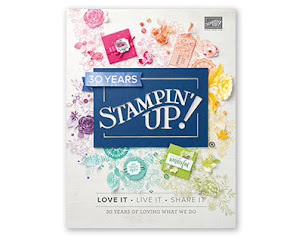 Choose me as your Stampin Up demo when you subscribe (or use the link below to automatically select me) and you get a free crafting night every month. Bring your kit to my house and get your pumpkin on! Pumpkin kit night is held at the end of the month, 7-9pm; the upcoming Pumpkin nights are November 30th and December 30th. Click here to subscribe (links to me) and join the fun. But wait, there are more perks for subscribing! Only kit subscribers can purchase kit refills and additional kits (while supplies last). Sign up today!